100 years ago this year the first true fighters flew into action, heralding a new world of ‘dogfights’, ‘air aces’, endless heated discussions about which fighter was ‘best’ at any given time, and pointless lists, such as this one. 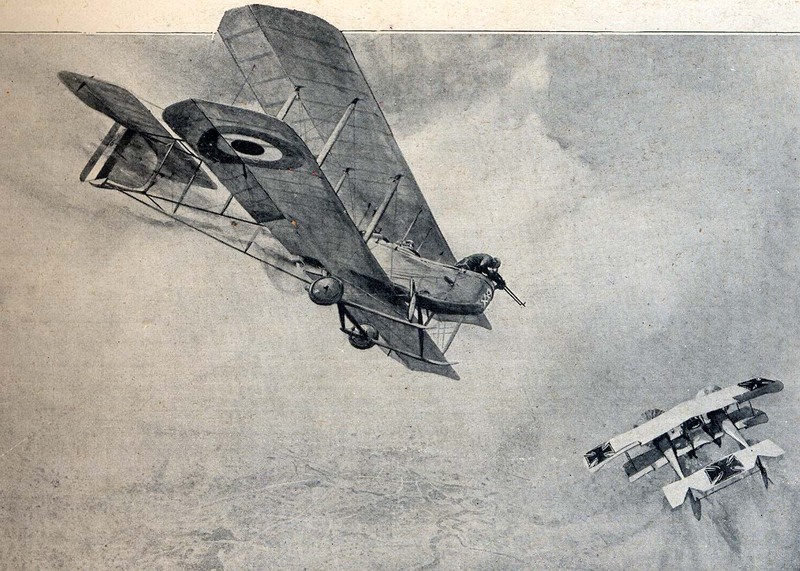 The aeroplane at the start of 1915 was a true multi-role machine, the same aircraft being expected to carry a bomb on one mission, a camera on the next, and take occasional pot-shots at enemy aircraft if the situation arose. By the end of the year, reflecting its somewhat tardy appreciation as a useful tool of war, the armed forces of several nations began to realise that aircraft epitomised for specific roles might prove more effective than the general purpose machines then in service. One of those aircraft was that most fearsome of flying machines, the fighter. Some of the following aircraft can barely be called fighter aircraft in the modern sense, most are little more than lash-ups, none of them was capable of exceeding 100mph and none seems particularly threatening, yet this is the pick of the bunch from the dawn of air to air combat and one of them appeared to be so effective it caused near panic in its enemies. It might look like a pram bolted to some bamboo and a kite but this aeroplane made history. First on the list and it isn’t even a fighter. This bomber scored the first air to air kill in history on the 4th October 1914 when Joseph Frantz and Louis Quénault downed an Aviatik B.II. Or rather the first by gunfire, Pyotr Nesterov destroyed a German reconnaissance aircraft earlier but he achieved this by ramming, an action that neither he nor his aircraft survived and this tactic remained, understandably, unpopular. 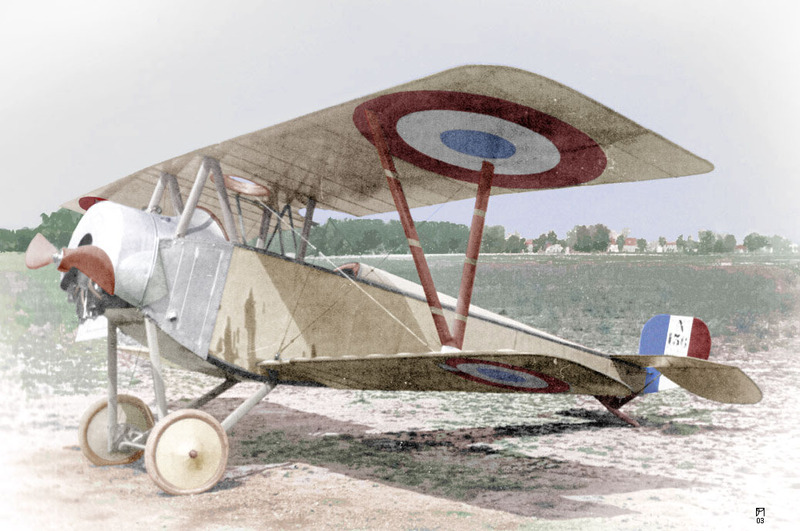 The Voisin III was a highly successful aircraft and hundreds served with French and British forces but it possessed virtually none of the attributes necessary for a fighter. However, its inclusion here can be justified by its epoch-making achievement. 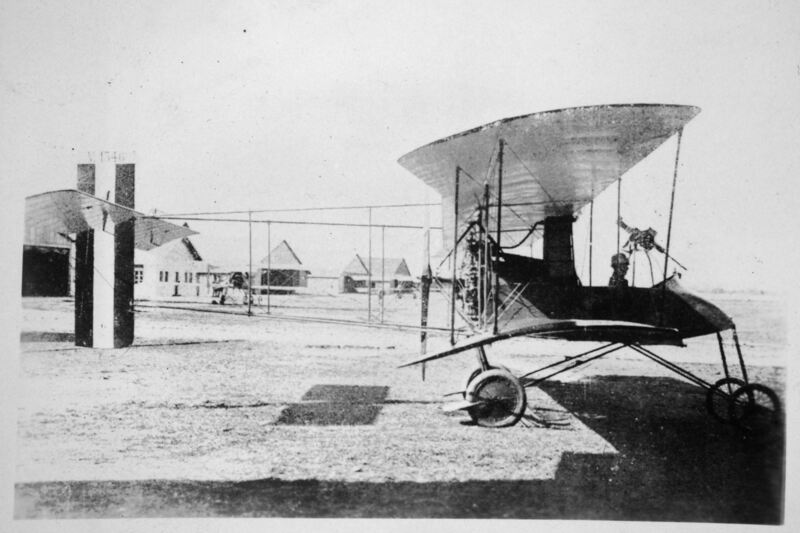 This is an experimental Pfalz monoplane fitted with an inline engine, the service versions were all fitted with rotaries and weren’t as good-looking. 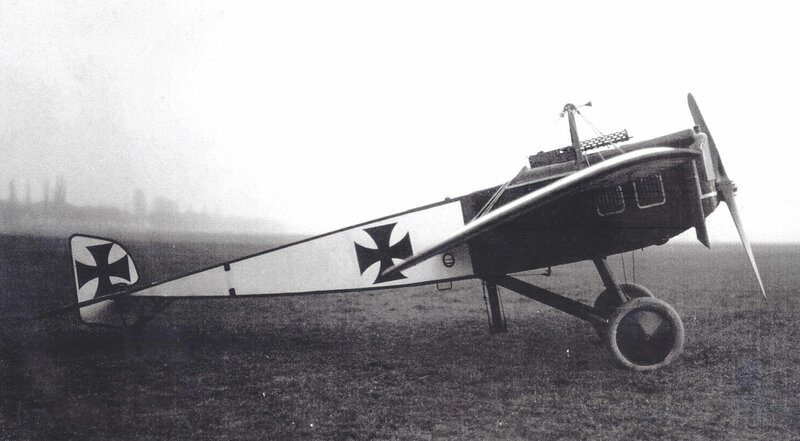 Pity the poor Pfalz, a licence built Morane monoplane fitted with a machine gun and interrupter gear, its performance even by the standards of 1915 was marginal and it had the misfortune to follow the (relatively) superlative Fokker into service. To add a further frisson of unwelcome excitement for the lucky German pioneer aviator, it had a reputation for shoddy build quality and was liable to fall apart. Nonetheless it was well armed and available, and against the virtually defenceless reconnaissance aircraft of 1915 it did fairly well. These naval aviators have failed to realise that having their aircraft hoisted up on a crane doesn’t count as ‘flying’. The dainty Tabloid floatplane won the 1913 Schneider Trophy, setting a world speed record in the process. 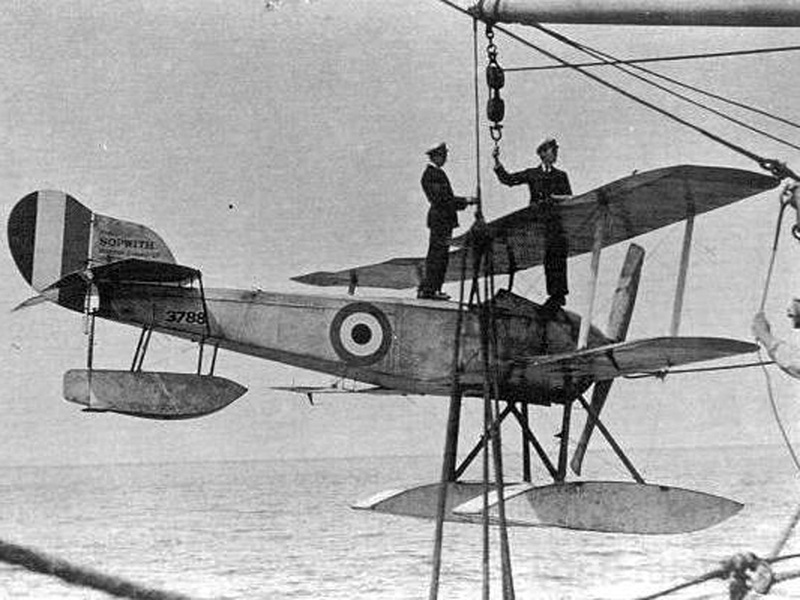 Nearly a hundred served the RFC as landplanes and the Royal Navy, who called it the Schneider, operated a similar number of floatplanes. Many were fitted with a Lewis gun on the top wing but there is no record of any air to air combat involving the little Sopwith except once, when Norman Spratt of the RFC successfully forced down an Albatros C.I in Allied territory by firing at it with his revolver(!) This was a shame for the British as the Tabloid had the performance and manoeuvrability necessary to defeat the ‘Fokker Scourge’. It is most famous today for performing the first bombing raid on Germany, and successfully destroying Zeppelin Z.IX in its shed at Düsseldorf. A flying replica of the F.B.5 Gunbus was completed in 1966 and flew until late 1968. It is now an exhibit at the Royal Air Force museum. In the absence of any means to fire through the propeller arc, the arms giant Vickers took the logical step of fitting a machine gun in the nose of an aircraft with the engine and propeller behind the crew. Thus they created the first ever purpose-designed fighter aircraft to enter service, this being reflected in its designation: F.B. stands for ‘Fighting Biplane’ Sadly, despite its comparatively formidable armament installation, the Gunbus was underpowered and lacked the performance to intercept most of its adversaries. Nonetheless in early to mid 1915 it performed adequately and caused something of a stir amongst its foes. By the end of the year it was totally outclassed. This is one of the Pfalz built L Types that remained unarmed whilst Germany happily bolted machine guns onto a bunch of French L Types they’d captured. It is unclear why. 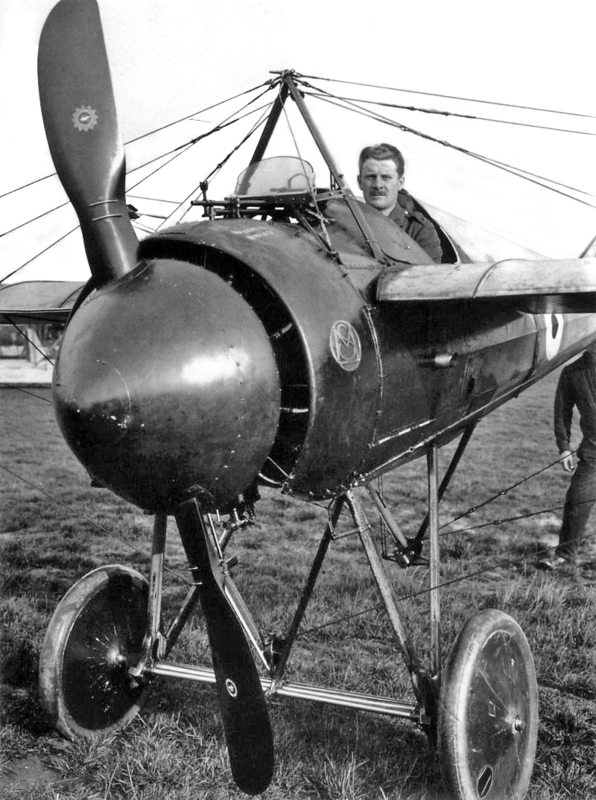 The pilot Roland Garros had been working on a gun synchroniser with Raymond Saulnier but the firing rate of the Hotchkiss machine gun was too erratic to allow this to work. As a crude alternative they fitted two steel wedges to the propeller, any bullets that struck the propeller blades would be deflected by these wedges and the pilot could fire directly through the propeller arc. A Morane Type L was fitted with gun and wedges and Garros shot down three German aircraft during April, an unheard of success rate at the time. The Type L itself was fairly fast but had a reputation as being difficult to handle (as can be read about in the excellent memoir ‘Sagittarius Rising’ by Cecil Lewis). Confusingly, although Pfalz built the Type L under licence for the Germans, they never fitted a machine gun to it, though inexplicably they did fit one to several captured French built examples which they then proceeded to use operationally. This Scout has an unsynchronised Lewis gun arranged to fire directly forward, if fired it would be liable to blow the propeller off. The fastest aircraft on this list (probably – contemporary specifications are often vague and there was less standardisation between airframes of the same type) the Scout was an excellent aeroplane hampered by inadequate armament. Despite this it was surprisingly successful, particularly in the hands of Lanoe Hawker, the first British air ace. 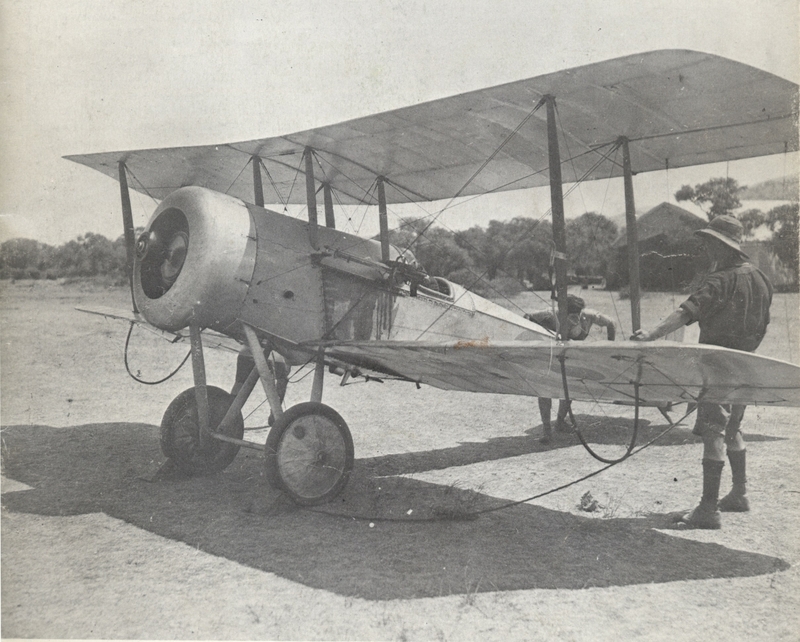 Hawker devised a mounting for a fixed Lewis gun arranged to fire forward and to the left, outside the propeller disc. Despite the apparent difficulty in aiming a weapon so fitted, by the end of July Hawker had destroyed three enemy aircraft and won the Victoria Cross. By the time attempts to develop a synchroniser had succeeded, the Scout had been surpassed in performance. Its operational use ended in early 1916 but its flying qualities were such that many were retained as squadron hacks and runabouts until the end of the conflict. The look of concern on this pilot’s face belies the unpleasant flying qualities of the Morane N. Note the ‘casserole’ spinner and the deflector wedges on the propeller blades. Fitted with the same deflectors as on the Type L, the Type N should have been spectacularly effective due to its performance, which was excellent, and its armament, which could (sort-of) be fired through the propeller disc. However the Type N was unpopular and only 49 were built. Derived, like the Tabloid, from a racing aircraft, the Type N was aerodynamically advanced and fitted with an amazing and enormous spinner known as ‘la casserole’. Unfortunately the casserole made the engine overheat so it was discarded (with no apparent loss of performance, except in the aesthetic realm). The Type N’s future looked rosy but the aircraft was simply too difficult to fly, the controls were sensitive, it was unstable in all axes, it had a high landing speed and it could not be flown hands off. 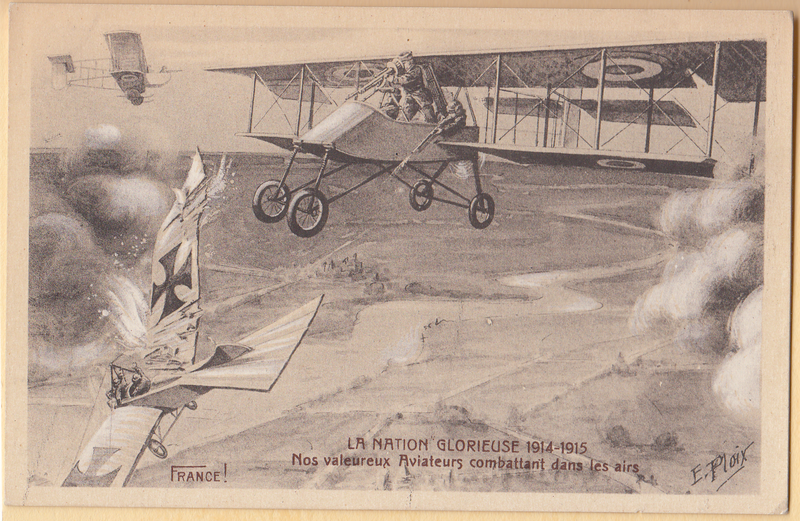 In the right hands it was formidable, several aces scored their first victories on the type but it was just too hard for the average pilot to fly at all, let alone attempt to engage the enemy. Most of World War 1 was fought in black and white, the Nieuport was ahead of its time. Once again, like the Type N and Tabloid, the Nieuport 10 was intended as a racing aircraft and had a better performance than most of its contemporaries. Most Nieuport 10s were two-seaters but the C.1 was a single seat fighter variant with a Lewis gun fixed to the top wing. The immensely popular French pilot Georges Guynemer, who would eventually record 54 confirmed victories, acheived ‘ace’ status by shooting down his fifth aircraft in a Nieuport 10, his first victory was scored whilst flying the aforementioned Morane Type L. The Nieuport 10 was a very good aircraft but its greatest significance was as the basis for the considerably superior Nieuport 11 and the insanely successful Nieuport 17, probably the best fighter in the world in early 1916. These casual Germans are pretty sure their Fokker is the best fighter in the World. They are almost definitely wrong. If psychological effect were the sole criterion for a fighter’s effectiveness then this spindly little monoplane would be the most successful combat aircraft ever built. 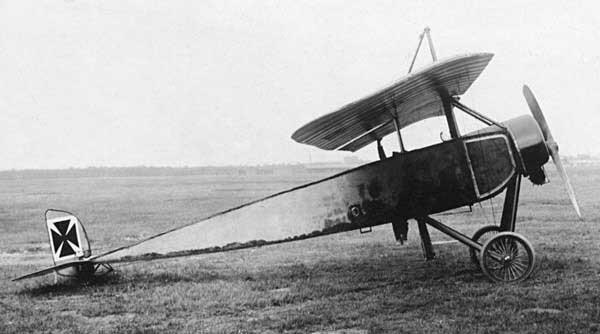 Whilst the Pfalz monoplane was identical to the Morane monoplane, the Fokker, though it was externally similar, was a complete redesign with a lengthened fuselage of sturdy steel tube construction. If easier to fly than the Morane Type N, the Fokker was not an aircraft for the novice with overly sensitive unbalanced tail surfaces and lateral control by wing warping rather than the eminently superior ailerons which would become universal. Its performance was not going to set the world on fire but it was definitively good enough, which was all that was then required as it was equipped with the first reliable system allowing the gun to fire through the arc of the propeller. Henceforth the fighter pilot aimed the whole aircraft at the target and fired, a practice that remains standard for gun armament on fighter aircraft to the present day. From the moment of its introduction it was a fantastic success, such that it became collectively known as the ‘Fokker Scourge’ to the British and the first German aces were beginning to accumulate victory tallies that could only be dreamed of by the Allies. Chief amongst these early fighter pilots was Max Immelmann, who downed a remarkable 15 Allied aircraft solely with various models of Eindecker. Ultimately the Fokker’s greatest legacy was to spur frenzied activity amongst Allied designers to produce aircraft to defeat it, thus starting a see-sawing arms race of fighter aircraft that continues to the present day. Decent photographs of the F.E.2a are virtually unknown. 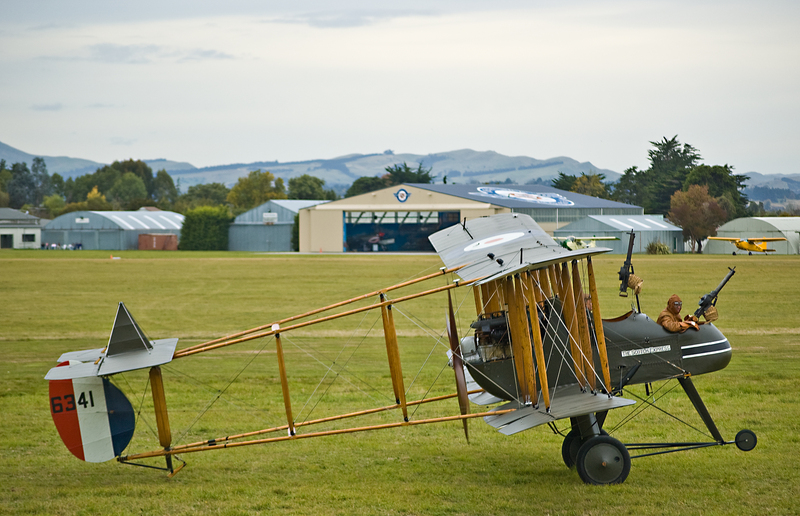 Here is the Vintage Aviator’s accurate flying replica of an F.E.2b. This variant had a more powerful engine, an extra gun and deleted a pointless airbrake. No one would call it pretty nor is it particularly famous but the F.E.2 was one of the great survivors of the First World War. Designed around the same time and in the same configuration as the ponderous Gunbus, the F.E. was in a different league – tough, well armed, docile and with a performance consistently good enough to allow it to operate as a fighter by day until mid-1917. It was in combat with F.E.2s in July 1917 that Richthofen, the ‘Red Baron’ was shot in the head, a wound which nearly killed him and from which some maintain he never recovered. By this time, in contrast, the Eindecker was literally a museum piece (Immelmann’s first Eindecker was on display in Berlin’s Zeughaus museum by April 1916 where it was destroyed in a British bombing raid in 1940). Even then the F.E.2 was useful enough to operate as a tactical night bomber until the end of the war. To put this into context, the Nieuport 11, a highly successful fighter, entered service in January 1916 yet was already being replaced in March. 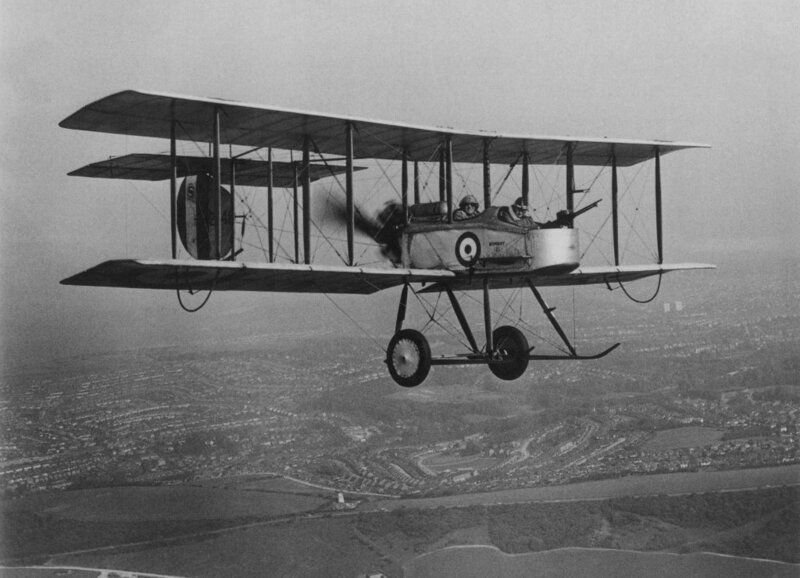 First operational variant was the F.E.2a which arrived at the front in 1915, by 1916 the slightly more powerful F.E.2b, which introduced an additional rearward firing gun, was being produced in large numbers and this was the variant that, in concert with later aircraft such as the Nieuport 11 and DH.2, would contain and ultimately quash the Fokker Scourge. The figures are telling, less than 300 Eindeckers were built as opposed to over 2000 F.Es. At least 32 aircrew became aces in the F.E.2, including, if you believe everything you read, ‘Biggles’ the children’s book character. The Eindecker was the first of what would become the archetypal fighter aircraft but it was the F.E.2 that would prove specifically more effective and infinitely more useful for far longer. It was the exceptional fighter aircraft of its generation. What is the identity of the German airplane that the F.E.2 is attacking in the picture at the bottom of this post? I have the same question, what on earth is that German aeroplane? Germany did not have any twin-engine twin-boom aircraft at the Front, so the drawing is likely to be showing either An Ago C. II or Otto C.II (both single-engined pushers). There was a lot of misidentification in the confusion of aerial combat. Germany did not have any twin-engine twin-boom aircraft at the Front, so the drawing is likely to be showing either An Ago C. II or Otto C.I (both single-engined pushers). There was a lot of misidentification in the confusion of aerial combat. This looks like the twin boom aircraft described in Sagittarius Rising. It was just described as “twin tails” in the book though.